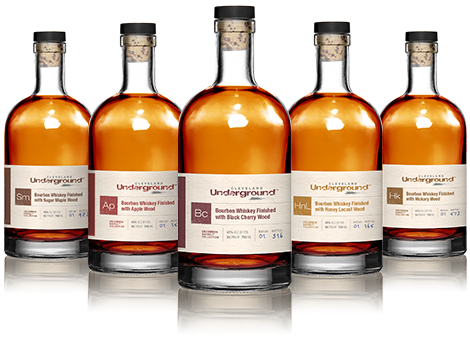 Cleveland Whiskey: Whiskey in 24 Hours? I just discovered this video about a company producing whiskey that’s been aged in 24 hours. The company is Cleveland Whiskey and the gist is that they’re forcing whiskey into the wood through pressure rather than storing it in barrels for years. Functionally, it’s the same process but it uses technology rather than time. He also makes the good point that now you can use wood that would never be able to make it as a barrel. 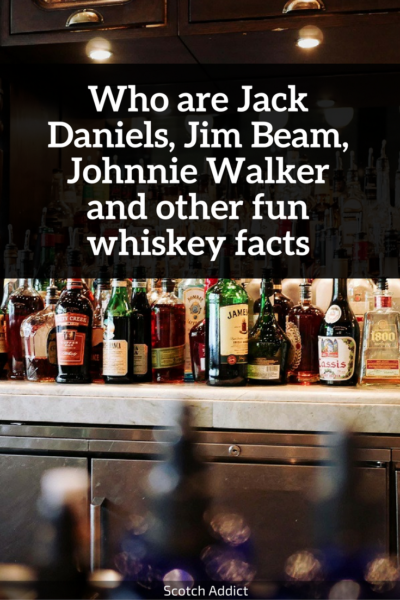 I’ve never tried it but I find it fascinating because you get to play with a piece of the whiskey equation more frequently and see the results – which could be good, bad or ugly. They have a bourbon finished with black cherry wood. Nowhere else can you see what that’s like. I think that’s awesome. The woods they have listed are Black Cherry, Apple, Hickory, Sugar Maple, and Honey Locust (whaaaat!?). This technology sounds very similar to what Innis and Gunn do to mature their beer. Use wood chips rather than actual aging. Part of me does feel like this is cheating. You take a very traditional process and speed it up through technology… but I’m 100% OK with it. They’re not using the technology to mass produce oak barrel aged whiskies. That would be boring. They’re using the technology to do things no one else is doing and that’s what innovation looks like. And here’s something even crazier… apparently you can buy the chips for your smoker? I was doing some research online about the company and stumbled onto all these articles about the smoker chips, though I couldn’t find any for sale. I’m a huge fan of using our Weber Smokey Mountain and my favorite is cherry, but I’ve never infused it with whiskey (to be honest, I’d rather not “waste” the whisky and drink it myself!). It must be wild. I hope they start releasing the whiskey on a wider basis so I can get my hands on one of these – then I’ll let all you other Scotch Addicts know what it’s like! Are Whiskey Clubs Worth It? Do you ever buy a bottle of something, have one dram, and realize you absolutely hate it? It’s happened to me before. Twice. To be fair, the price was worth taking a flyer on it. $30 for 750ml of 18 year old? Sure, why not. 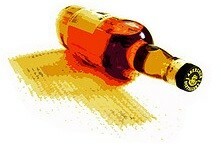 I think part of the fun of whisky is the discovery process. I’ve long wanted to try more Japanese whiskies, especially since they’ve been collecting all the awards, but the price of a single bottle is too high to try something I might not like. Here’s where a whisky club might make sense and one that I recently learned about is called Flaviar. 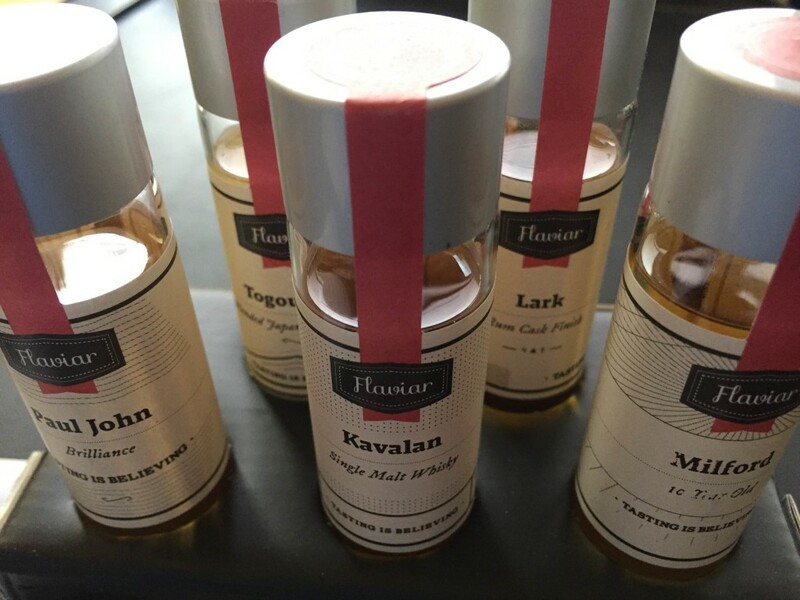 Flaviar sends you small samplings and private bottlings from a variety of craft and premium distilleries, giving you the opportunity to try small samples without committing to 750ml of something you don’t want to finish. That’s what they pride themselves in. 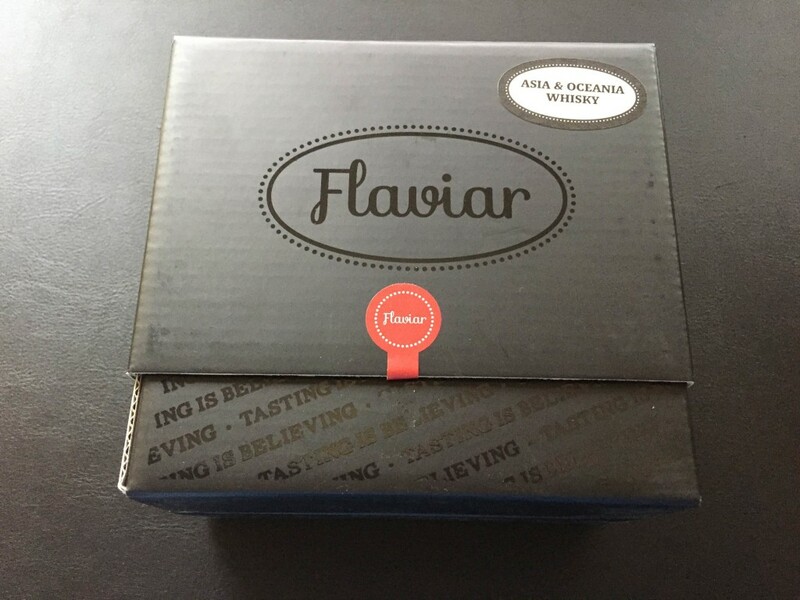 Nice cardboard box with the package clearly labelled, and the inside consists of the samples a little introductory card about Flaviar, plus two pamphlets. The two pamphlets are great – one discusses how to host a tasting (they recommend one pack per three people! might not be enough!) and the other talks about each of the whiskies in the package. The tasting guide explains how you should approach tasting whisky, what aspects of the production process contribute to which flavors, etc. Kavalan – This is the one I wanted to try, Kavalan is produced in Taiwan; it’s where my parents emigrated from to the United States. Milford 10yo – New Zealander done in the Lawland style, another one I’d never heard of and wanted to try. Paul John Brilliance – Indian whisky that is made with Indian barley, matured in bourbon barrels and is unpeated… most Indian whiskies are usually molasses based, this one isn’t. Lark – Rum Cask Finish – They are located in Tasmania! Flaviar bills itself as “a club for explorers at heart,” and I think this the only way a whisky club “works.” It needs to be more about discovery and trying new things and less about getting a good deal. If you look at Caskers Whiskey Explorer club, it starts at $159.99 quarterly and gets you three full-size bottles a quarter (so a bottle a month). Is there a theme? Not that I can tell. You pay $53.33 per bottle, which can get you a fantastic bourbon or a decent scotch. It’s hard to know and with no theme, even harder to justify getting it. I’d rather just buy the bottles myself as I go. Flaviar isn’t cheap though. If you try to buy their Asia & Oceania Whisky kit a la carte now (it was the kit from October 2015), it’s three samples (Lark Rum Cask, Milford 10yo, and Paul John Brilliance) for $42. The membership itself is $60 per quarter and you get one package a quarter. The tricky part here is that you really need to bring obscure whiskies in each package for it to work. I look at The Canadian Lot and I only see one unfamiliar name – McGuinness. I was far more intrigued by the Asia & Oceania Whisky box – some Australian whiskies, an Indian whiskey, and one from Taiwan I always wanted to try? Bring it on! There are some other perks to membership which are non-obvious and… depending on how they develop, might be really interesting. 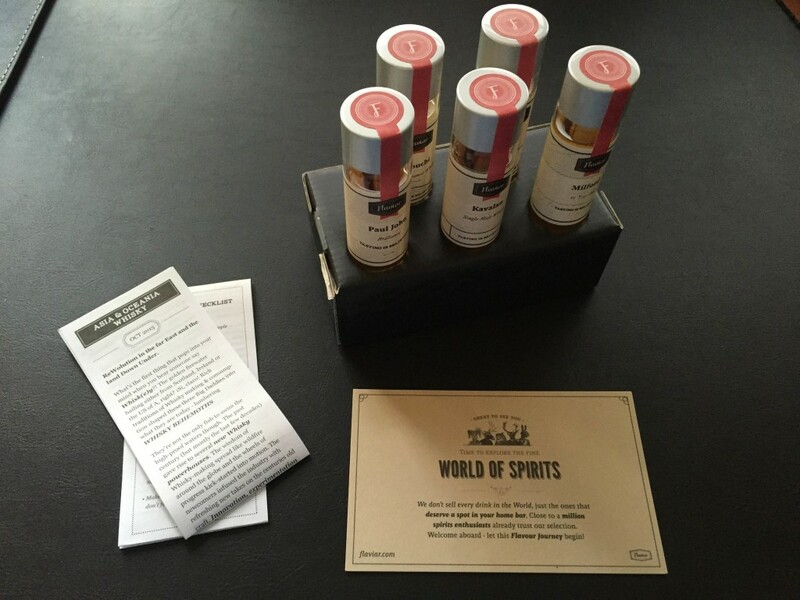 Flaviar, like many places, also sells harder to find bottles and membership also gives you 3 free package shippings a quarter. This could be a good deal if they get bottles you like. For example, one deal they have now is Kilchoman Machir Bay, a release from 2014 that is about $10 cheaper than anywhere else that has it. That’s a nice benefit but it’s hard to know how useful that would be on an ongoing basis. They also have private bottlings under their Deer, Bear & Moose label. 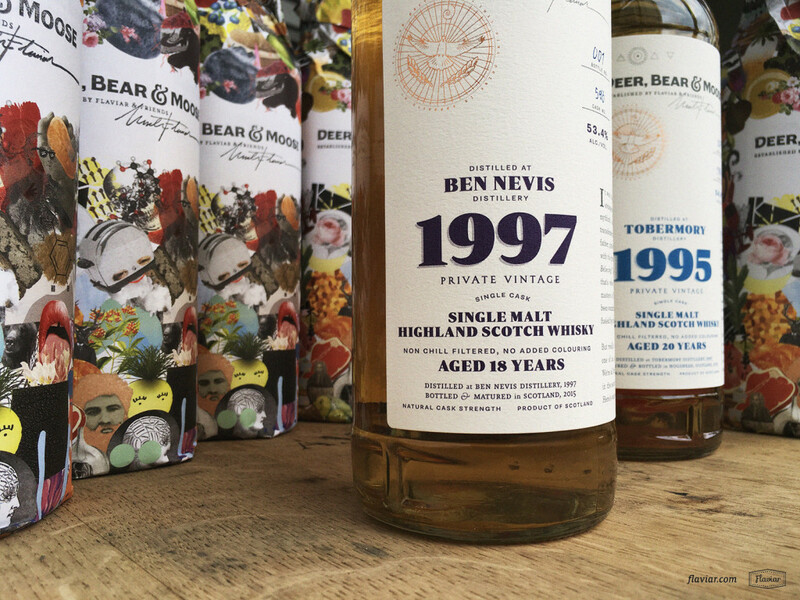 The first one was a 20yo single malt from Tobermory and the second is a Ben Nevis 18yo. They go for about $125. Here’s a photo of their first and second private bottlings. THIS would be interesting… since members get first crack at it. But is it interesting enough to join? What’s your take on whisky of the month clubs?